I have led and organised many walks, including a durational four month walking project in Berlin in 2011. The following is an example of a walk I led in 2014. 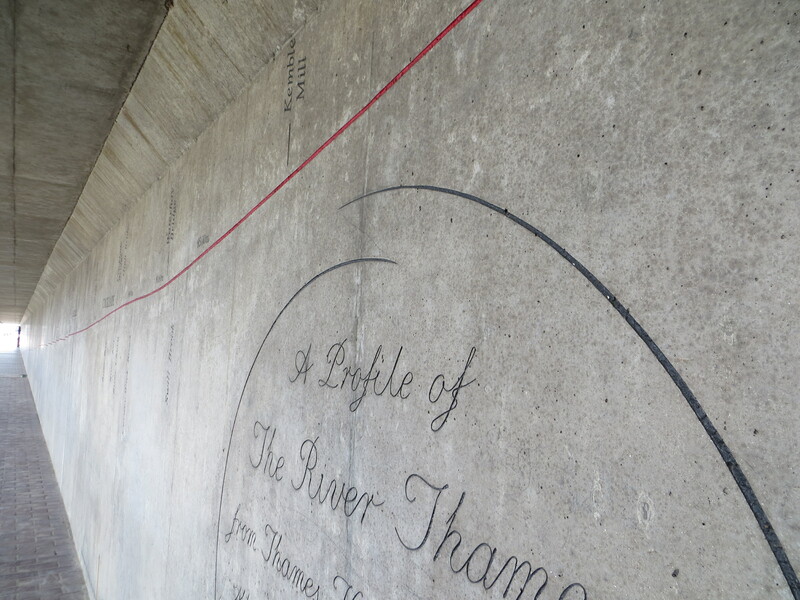 Meet at the Waters Edge, Greenwich Foot Tunnel south entrance, Nr Cutty Sark, Greenwich. 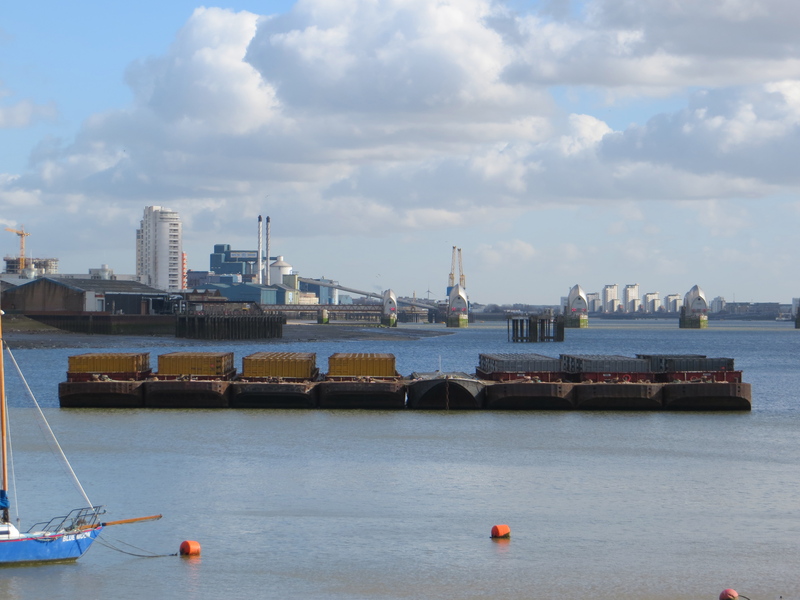 Join Helen on this morning walk along the Thames from Greenwich. Before the walk Helen will give a short talk about her work and motivations. She will describe how she uses walking and collecting to develop her work and participants will be encouraged to take photographs along the way, discussing process and philosophies as we walk. Helen Carnac is a maker and curator who lives and works in London. Drawing, mark-making, the explicit connections between material, process and maker and an emphasis on deliberation and reflection are all central to her practice as a maker and thinker. Running an environmentally grounded practice, Helen develops projects using design methodologies that are rooted in an acute awareness of physical location, place and working practices. The populated environment is of key importance and through her practice and projects she aims to bring people together in order to create social and creative engagement and collaboration in an open-ended design process. Helen often works in interdisciplinary environments and is currently working with various designers and artists on projects, including a DJ, textile artists, scientists, fine artists, choreographers, a performance artist, furniture designer and silversmith. She has worked extensively in the UK and USA, and in 2011 ran a 4 month walking project as a guest Professor in Berlin. She is a member of the collaborative making project Intelligent Trouble and a Fellow of the Royal Society of Arts. Since 2007 she has run the project ‘Making a Slow Revolution’ which aims to provide a forum for open discussion around the contribution of contemporary making and design to some of the philosophies presented within the Slow Movement, with particular development in thinking about place, provenance, co-design, relational methodologies, collaboration, gestational and layered time of processes, waste streams and walking, upcycling, mutability of life cycle and dialogue and conversation. She has travelled extensively to talk about the project and to contribute to developing thinking around it. In 2009 Helen was awarded a Cultural leadership fellowship in the Crafts in order to develop ideas about how the Crafts are communicated. Helen began to work with Siobhan Davies Dance and Laila Diallo on the Side by Side residency in June 2012 – they are currently developing ideas from this into a work which will tour from 2014. She has written chapters for two books to be published in 2013: Collaboration Through Craft, Bloomsbury, Sept 2013 and Contemporary Jewellery in Perspective, Sterling Books, Nov 2013.